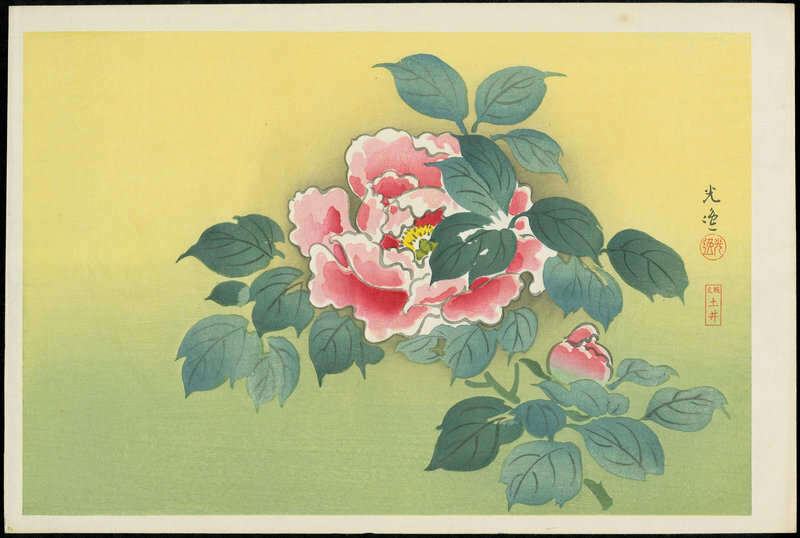 Koitsu, Tsuchiya (1870-1949) [Tsuchiya Koitsu] "Peonies (yellow variant)" - Woodblock - Chinese and Japanese woodblock prints for sale, silkscreen, scrolls, watercolor, lithographs. Artwork Details for Koitsu, Tsuchiya (1870-1949) "Peonies (yellow variant)"
Condition: Fine, just one spot in the top margin. Notes: Koitsu Raisonne code TK-DH-67. One of Koitsu's earliest shin-hanga era kacho-e prints. Very rare.